I’ve had the pleasure of meeting Guy Kawasaki in person at an Entrepreneur magazine event a few years ago. He captivated and kept hundreds of people glued to their seats, furiously typing notes on their iPads. He just delivers great information, in every medium. Most so with his books — each containing information not found elsewhere. APE just adds to the long list. If you’ve ever thought about writing a book, get APE. It’s exactly what you need. The three sections Author, Publisher and Entrepreneur are self-explanatory and logically lay out what’s needed to write, self-publish and promote your book. Highly recommended, and better than a head-start — APE is a complete roadmap. This entry was posted in Book Reviews and tagged book, Guy, Kawasaki, review on December 18, 2012 by Brian Farrell. A few weeks ago, I was on Google+, and came across an update referencing Chris Brogan’s “Google+ for Business: How Google’s Social Network Changes Everything“. Within seconds, I was checking out from BN.com, thankful for my membership which offers expedited shipping (yes, I still like real, printed books!). Do we really need another social network? Simply put, Google+ will be a game changer. For starters, it’s owned by Google, and there are already more than 90 million users. Additionally, your +1 links may rank higher, and sites on Google+ get indexed quicker. The intuitive circles for organizing your following, hangouts to formally or informally chat with others, and the ability to create a page for your business make Google+ a sure winner. And more. My favorite chapter was “A Day in the Life”, where he cleverly detailed daily suggestions for seven different types of occupations. 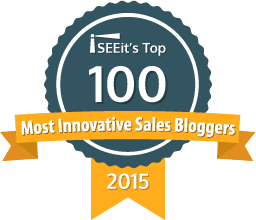 This chapter also features interviews, including Problogger Darren Rowse and Scott Monty from Ford Motor Co. I also liked Chris’ explanation of how he set up his circles. It wasn’t a how to, as much as it was a here’s how I did it, and why. Clearly, the opportunity on Google+ is authorship, focusing on the person, rather than the company. The book is easy to read, and makes the case why you and your business must get on Google+ sooner, rather then later. This entry was posted in Book Reviews and tagged book, business, for, google, plus, review on March 13, 2012 by Brian Farrell. Could this book help your company find it’s next competitive edge? Could the Business Genome ® approach help your company find it’s next competitive edge? 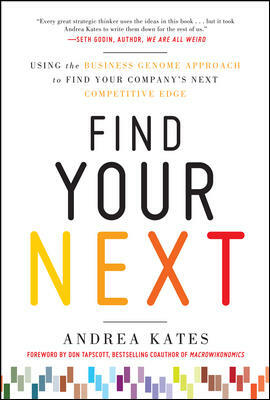 The answer is yes, and Andrea Kates clearly lays out the reasons why in Find Your Next (McGraw Hill, 2011). Her thesis is simple: traditional management, product development and marketing require radical change. Kates’ reveals how our imagination, optimism and desire to connect are three very powerful levers for business success. It’s a totally new concept and helps us prepare for the unpredictable, socially connected consumer. The book is divided into three sections, with a lot of informative sidebars. Read the chapter text first, and then go back to the call out boxes. Otherwise, you may find it difficult to follow along. Part 1 details the Business Genome approach. When you uncover these patterns, you create a fresh lens to look at business. Winning businesses consist of components of great ideas that can be melded together to create and launch new business opportunities. I love that finding your “secret sauce” is part of this process — but is your brand still relevant? Part 2 lists and explains the Business Genome elements: product and service innovation, customer impact, talent / leadership / culture, process design, secret sauce and trendability. Finally, the case studies in Part 3 really tie all the elements of the book together with real world examples, including P.F. Chang’s, GE’s Ecomagination and GM’s OnStar. This entry was posted in Book Reviews and tagged andrea, book, business, find, genome, kates, next, review, your on November 28, 2011 by Brian Farrell. Anyone who works has attended meetings of some sort, so carefully read, take notes and use “This Meeting Sux” as your field guide to change meetings for good. The 12 acts contained in the book are simple keys towards meeting success. They outline the knowledge, skills and actions you’ll need to take the lead in meetings as a participant, rather than relying solely on the meeting’s leaders. 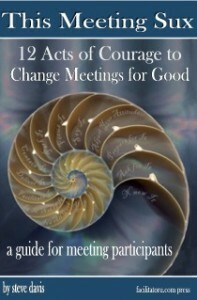 The book is broken down into thoughtful, well-written chapters (“Acts”) starting with background information, meeting pre-work, internal orientation, influencing structure and flow, and closing with advanced acts to influence group culture and process. I’ve read the book twice so far, dog-earing nearly every page, and plan to immediately implement the Parking Lot and Wedging Techniques (Acts VII and XI). Steve has written an incredible resource, and I heartily recommend it. This entry was posted in Book Reviews and tagged book, guide, guides, meeting, meetings, review on September 21, 2011 by Brian Farrell. 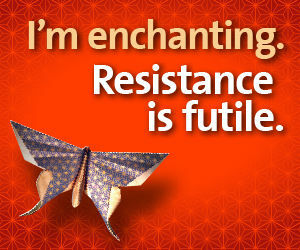 I’ve just finished re-reading a review copy of Enchantment, by Guy Kawasaki. It’s his 10th book, and he’s done it again. We use enchantment (as he explains it) in our social communications to create relationships — whether with other people or with a brand. If we want to accomplish something, whatever it may be, we’ll need to influence another person to either buy our stuff or buy in to us. It’s the process and use of enchantment that allows it to happen. When you’ve enchanted someone, you’ve probably done something good, for both them and you. That’s what makes Enchantment such an ethical approach to influence. As Guy says, it’s the art of changing hearts, minds and emotions. This book will make you stop and think, so I’d recommend reading it straight through once, and then again with a highlighter. This entry was posted in Book Reviews and tagged book, Enchantment, Guy, Kawasaki, review on September 10, 2011 by Brian Farrell.